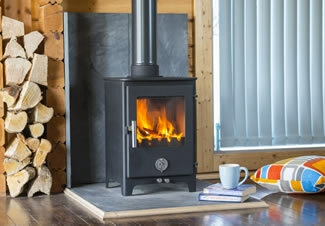 We sell solid fuel stoves from brands such as Chilli Penguin, Town and Country, Fireline, PureVision, Stovax, Dovre, Parkray, Nordpeis, Yeoman and Salamander. By burning the appropriate fuel, such as dried hardwood or quality coal, and annually serving your appliance, you should enjoy a long life from your stove. 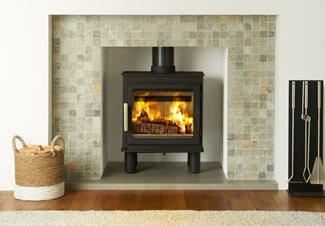 Wood-fuel is a renewable, green form of heating and many stoves are highly effective, with upwards of 80% efficiency. 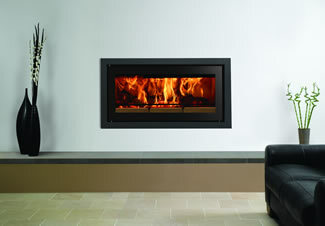 Unlike an open fire, a stove pushes heat into the whole room, can be left unattended and will keep you toasty for hours. 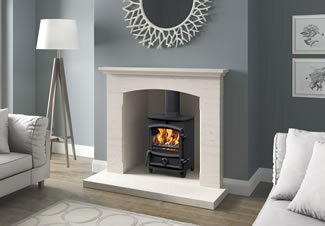 Our main showroom at 6 Station Road, Chepstow NP16 5PB, showcases several working stoves while our Classic Stoves outlet at Chepstow Garden Centre, Pwllmeyric NP16 6LF displays many more models. See our recent installations page for some inspiration, visit our showroom at 6 Station Road, Chepstow NP16 5PB or call 01291 627000.